Balikatan 2017. 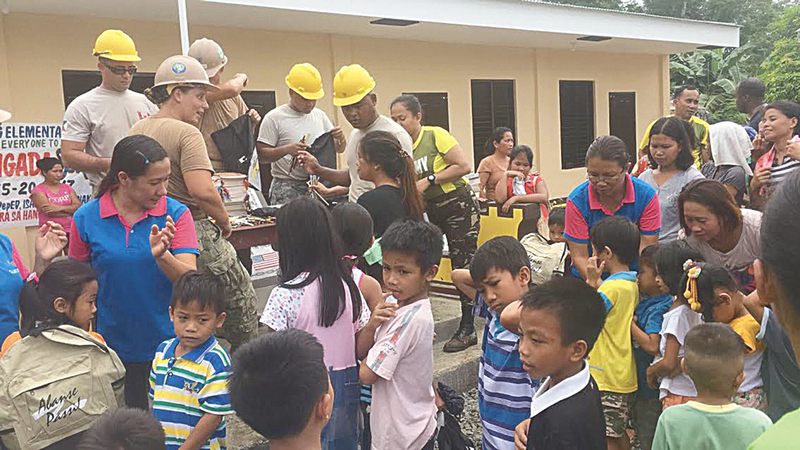 Members of the 230th Engineers CO of the Hawai‘i Army National Guard traveled to Panay, Philippines to construct two 2-room classrooms and distribute over 100 school bags and supplies for the children of Malitbog and Duran Elementary School. 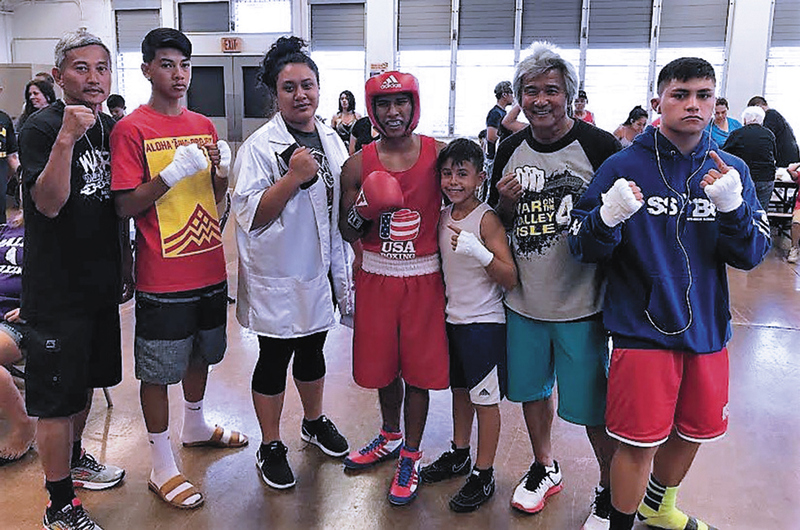 Southside Boxing Club Maui team from left Coach Tom Manangan, 125lbs State champion Jordan Manangan, Decretary Lani Visesio, 114 lbs State champion Kawaii Kaho‘ohanohano Duldulao, Silver medalist 70lbs Brayden Nunes, Coach Nante Manangan, and 152 lbs State champion Micah Kuamoo. The State champions are heading to Charleston, West Virginia for the national championship on June 26-July 1. 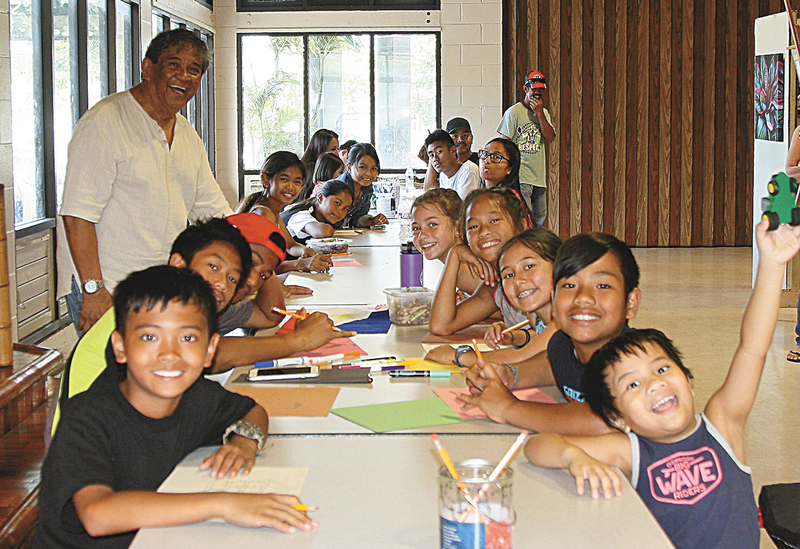 Phil Sabado poses with the twenty keiki who participated in the Keiki Art Party component of The Barrio Fiesta Experience during the 48th Annual Barrio Fiesta. The officers of the Bahay Kubo Heritage Foundation (from left: President Zaldy Ugalino, Vice President Tante Urban, Secretary Elmer Tolentino, and Treasurer Rick Nava) pose in front of the replica Bahay Kubo (built by Board member Victor Campos and his crew) at The Barrio Fiesta Experience during the 48th Annual Barrio Fiesta. Melen Agcolicol (left) poses with her winning Ilocos Norte cultural village at The Barrio Fiesta Experience during the 48th Annual Barrio Fiesta. 2017 Miss Barrio Fiesta Kimberly Taroma poses with the Phenoms, winners of the 18 and under division, of the Barrio Fiesta Basketball Tournament held in conjunction with the 48th Annual Barrio Fiesta. Veterans and active military pose after the Veterans Memorial Service held during the 48th Annual Barrio Fiesta. 2017 Miss Barrio Fiesta Kimberly Taroma poses with her court and family prior to being crowned at the 48th Annual Barrio Fiesta. 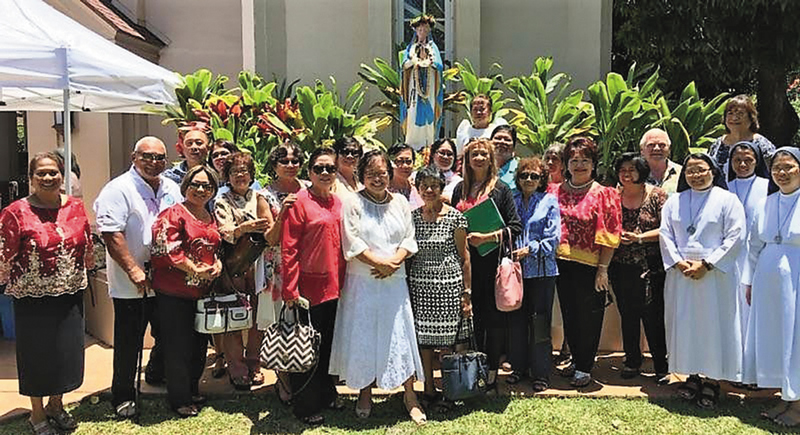 Members of the Maria Lanakila Filipino Catholic Club under the leadership of Nora Takushi (far left) celebrate Flores de Mayo. 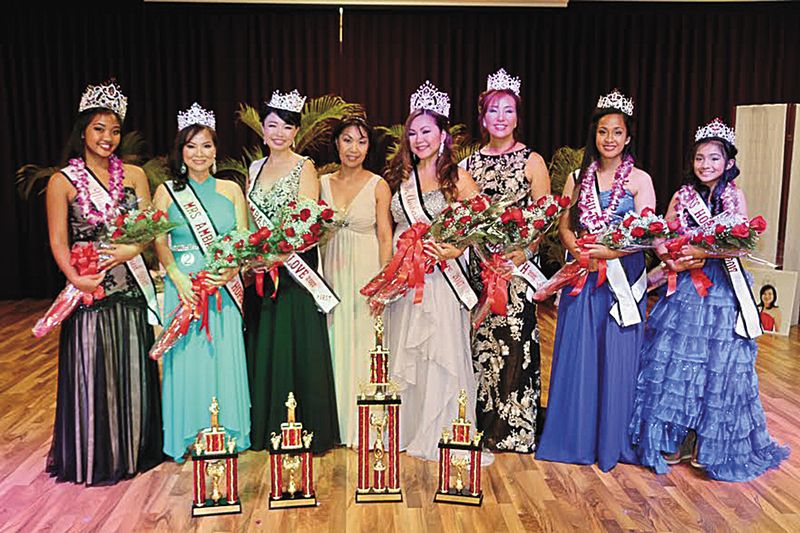 Kimberly Yap was crowned 2017 Miss Maui Filipina by 2016 Miss Maui Filipina Ashlyne Rosalin. 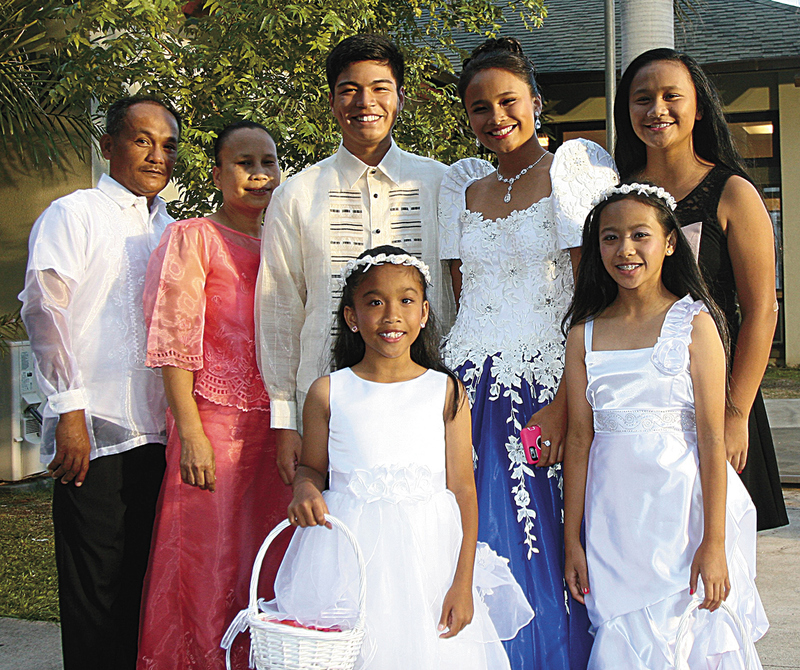 Dance International Foundation president Madelyne Pascua (4th from left) poses at the recently concluded 2nd Annual Mrs. 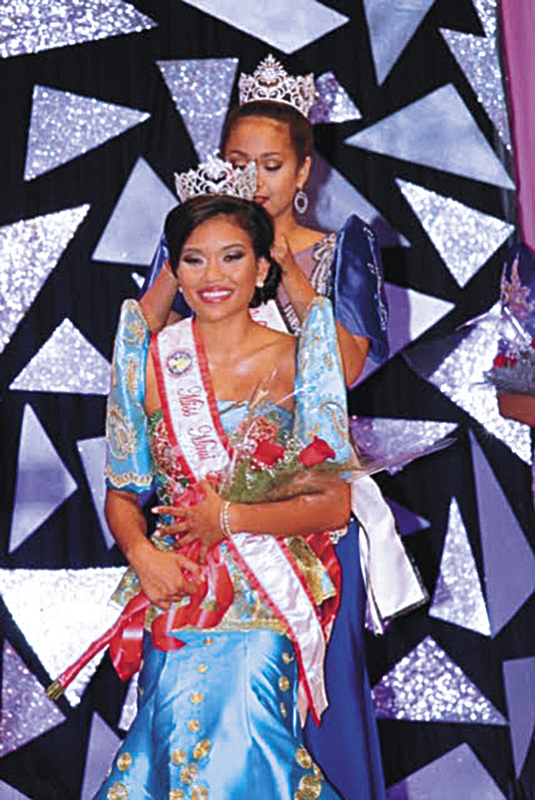 Ambassador of Culture and Dance International Queens’ coronation: Miss International Jessica Juan, Mrs. Ambassador of Hope Paula Diep-Rapoza, Mrs. Ambassador of Love Lynn Araki-Regan, Mrs. Ambassador of Culture Vilma Loque, Mrs. 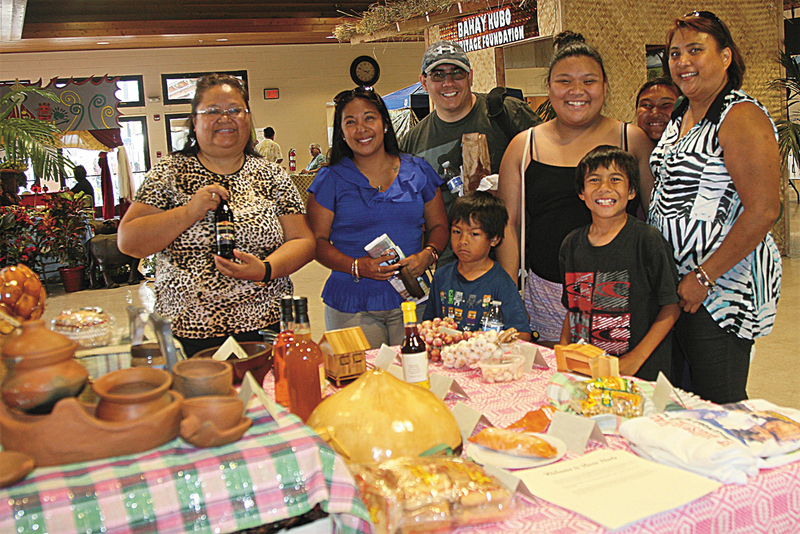 Ambassador of Faith Young Shishido, Miss Kultura Jedd Ann Gadia, and Miss Hoku Li‘i Naomi Anela Menor. 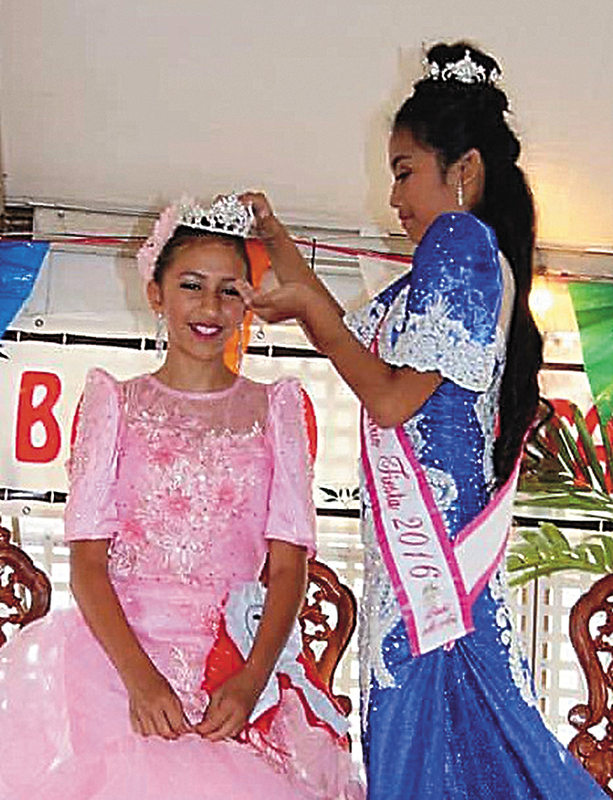 Elizabeth Thomas was crowned 2017 Little Miss Barrio Fiesta during the 48th Annual Barrio Fiesta. 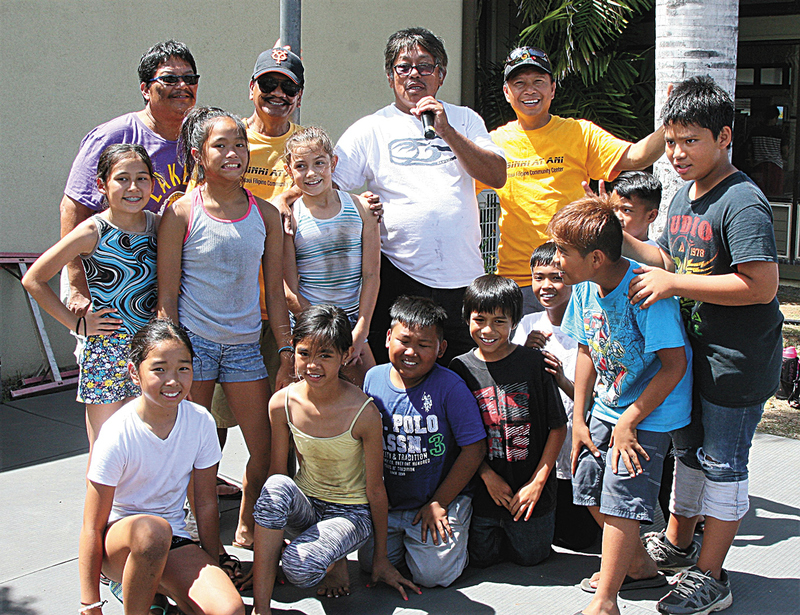 The participants of the greased pole contest (the winner is standing, third from left) at the 48th Annual Barrio Fiesta.